We have seen a bit of a trend over the years almost eliminating the formal dining room all together. Open concept homes have accommodated for larger kitchen tables, that over look a family room, where people can roam freely. 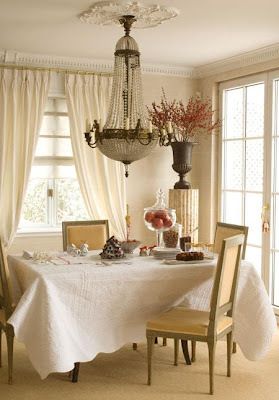 But truthfully, I can't imagine my home without a formal dining space. It probably has a lot to do with the fact that I love to cook, and sit around a table full of guests. Here are just a few that have captured my interest lately. 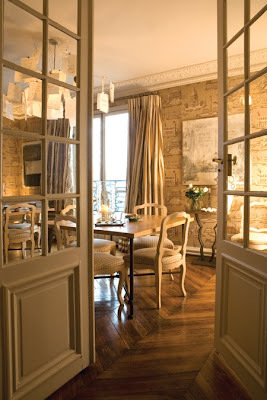 An ideal dining room, can expand to fit 8-12 comfortably, has easy access to the kitchen, and an escape to the outdoors. First image House Beautiful, the following two from House and Home.